View More In Baby Foods - Page 9. 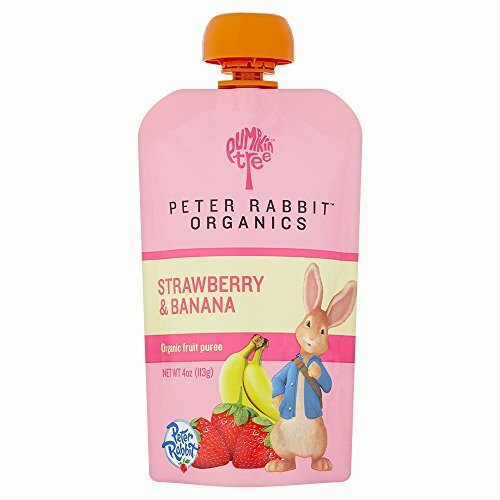 Peter rabbit organics snacks are ideal for babies from 6 months plus and toddlers. They contain nothing but 100% USDA certified organic fruit. The convenient squeezable pouch is re-sealable & doesn’t need to be chilled, which makes them a great snack for children that can be eaten anywhere. We never add water, so each pouch counts as one of your child’s ‘five a day’. If you have any questions about this product by Peter Rabbit, contact us by completing and submitting the form below. If you are looking for a specif part number, please include it with your message.